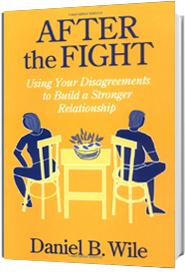 Solve the moment—to have the conversation needed to deal with whatever comes up in the relationship and, in particular, to recover from the inevitable periods of fighting and/or withdrawing. CE units provided by the sponsoring organization. This is not a paid announcement – political or otherwise; ) It is a tribute to the man in the field who has made the greatest impact on the services I provide in the room, transforming and empowering my sessions. I find couples work to be among the most demanding and challenging of specialty areas and am deeply thankful for Dan’s contribution to the field. Although I have trained with David Schnarch (differentiation) Sue Johnson (need I say attachment?) and the Bader’s (Developmental Model) among others, it is Dan’s voice that has left the greatest imprimatur on my treatment of couples. 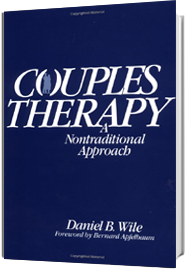 If you enjoy the presentation, check out Dan’s text “Couple’s Therapy: A Nontraditional Approach. 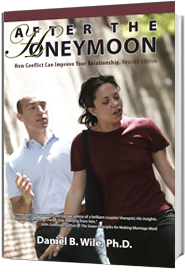 ” This book is a powerful resource, in that it compares and contrasts the interventions of a number of orientations to a given issue and provides a rationale for his collaborative approach in a clear and concise manner.